SAN FRANCISCO—-–one of the All-Time Classics from Hollywood’s Golden Age, and still a helluva show today, eight decades after its 1936 smash. 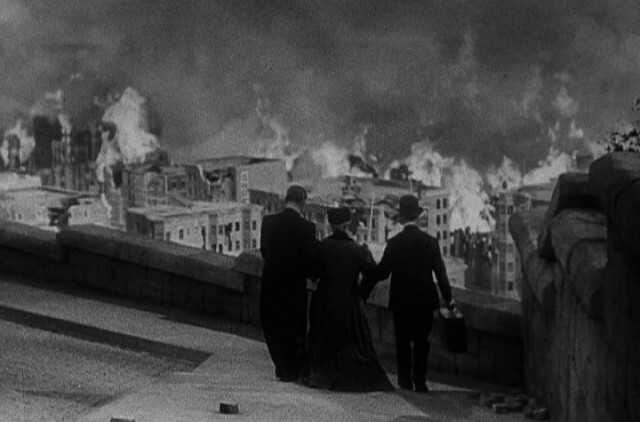 The biggest box-office success of its year by far, this super-duper production (cost around $1,300,000 back when a pound of hamburger was 12 cents) ends with a recreation of the 1906 quake & fire, a special effects bonanza that would long stand as the ‘top this’ showpiece for film epics. 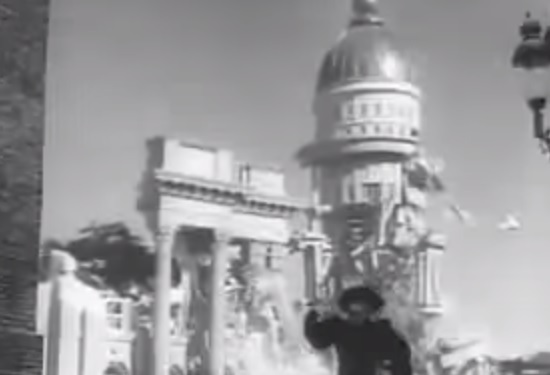 Leading up to the Big Finish (one is tempted to say Huge Climax, but I must take my audience into consideration) is a rousing story, sharply written by Anita Loos, directed with gusty vigor by W.S. Van Dyke, and played for all it’s worth by the cast. 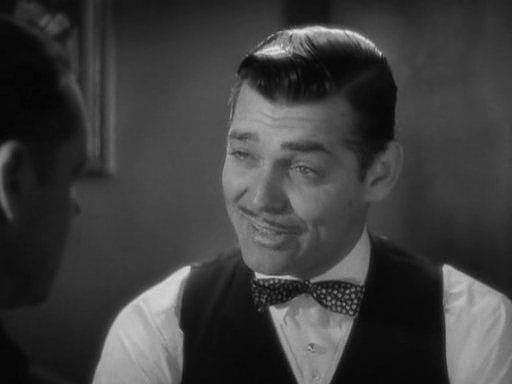 “Here is Clark Gable” in one his signature roles, as charming, dapper, two-fisted rogue ‘Blackie Norton’, boss stud of the Barbary Coast. 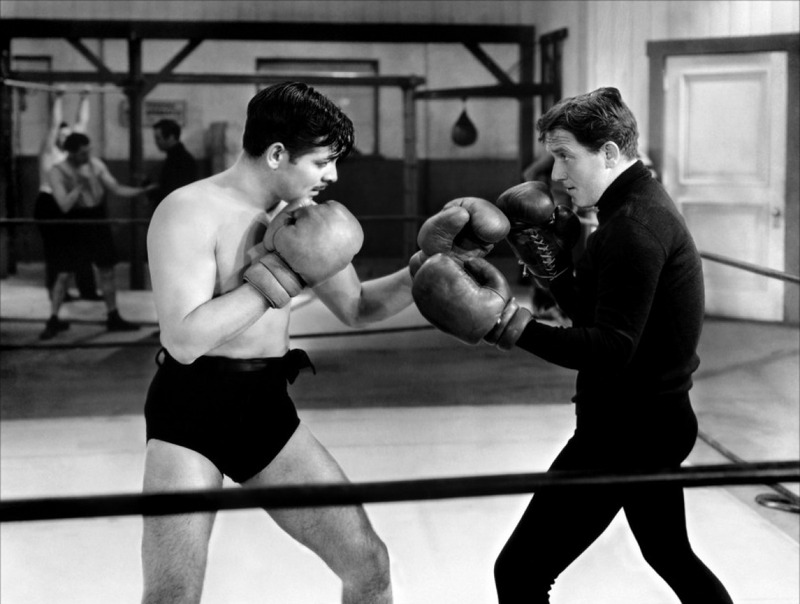 Gable is pure masculine magnetism, and unmatched movie-star virility, a hugely entertaining showcase for all your favorite Gable postures and mannerisms. Long Live The King! Spencer Tracy is splendid as friend and conscience, a Fightin’ Priest who tries to bat sense into Blackie, and make sense of the city’s debauchery. 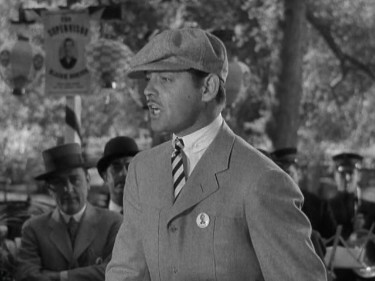 Jeanette MacDonald is less than stellar as the love interest, but she does get to do a lot of singing, including a rendition of that marvelous salute to the city, Gus Kahn’s “San Francisco”. 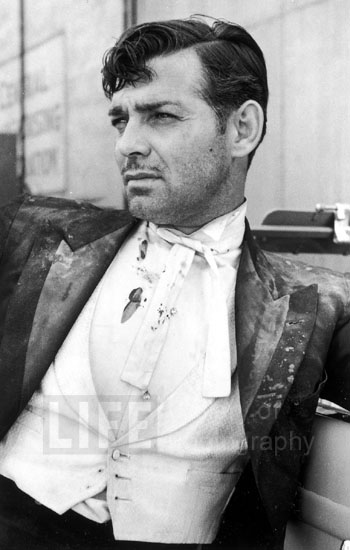 The feisty songstress and Gable didn’t enjoy working together, but it doesn’t show on screen. The musical scoring (Edward Ward & Bronislau Kaper), costumes, sets, props and crowd scenes are all lavishly appointed. 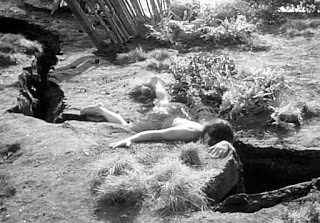 It shook an Oscar for Best Sound, and was nominated for Best Picture, Actor (Tracy), Director, Original Story, and Assistant Director (Joseph M. Newman). The Special Effects category wasn’t around yet. Moneywise, it was Gables fourth most popular picture, after GWTW, Mutiny On The Bounty and It Happened One Night, taking in almost $8,000,000 back when, which equals something in the area of $200,000,000 today. Moolah, in other words. This is one of the very first movies I recall seeing as a kid (maybe three or four years old, as the studios began to release their old product to television). Suitably impressed by the big quake (and that Clark Gable could survive having a brick wall fall on him and still look cool in a dust-covered tux), I made buildings out of stacks of our encyclopedia set and as many Readers Digests and National Geographics as I could find. And Lincoln logs, naturally.